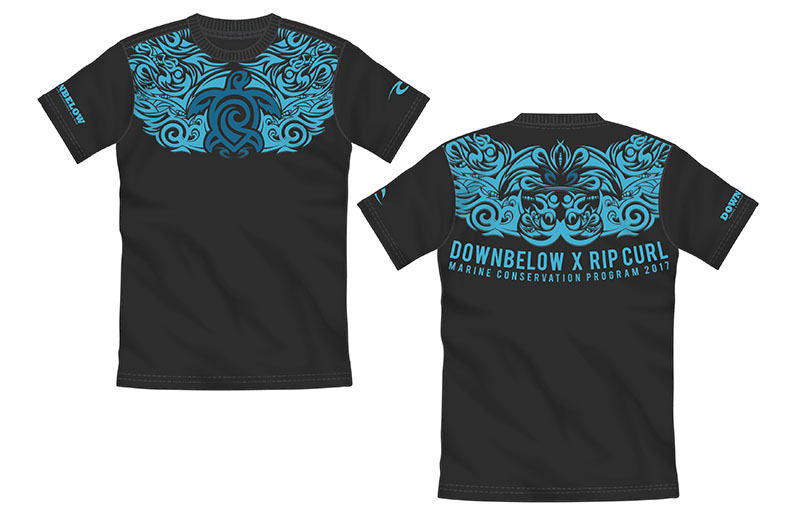 In the name of marine conservation, the Downbelow x Rip Curl Marine Conservation Program 2017 is a joint event between Downbelow Marine & Wildlife Adventures and Rip Curl Malaysia with the objective to raise awareness, educate, and encourage action towards the global problem of marine debris and the importance of preserving our coral reefs. It is with this collaboration that we hope to motivate people to become ocean heroes and join the movement in protecting our seas. This event is fully sponsored by the Downbelow & Rip Curl partnership and will be held on the 19th of November, 2017 at Downbelow PADI 5 Star IDC Dive Centre in Tunku Abdul Rahman Marine Park, Sabah Borneo where 100 participants will take part in marine conservation activities on-site and thus understand why we must all fight the good fight to save the ocean environment. Through the event, we want to show that anybody can be an ocean hero irrespective of whether you are a scuba diver, snorkeler or non-swimmer, all you need to take part is a desire to make a difference. Marine conservation activities are fun and a heroes way of life is rewarding ! As part of this event we are fundraising for two important charities where 100% of the proceeds will be channelled to the Project AWARE Foundation and SPCA Kota Kinabalu (Society for the Prevention of Cruelty to Animals Kota Kinabalu). This is a rough timetable. Subject to change on the day to suit the conditions. One activity at the Downbelow X Rip Curl Marine Conservation Program 2017 is our famous Beach Clean Up. Beach clean ups are a routine job for our island team because we see plastic wash up our shores daily. Marine debris is a global problem and it is increasing in an alarming rate. The devastating effect of marine debris on our wildlife is clear and evident. Fish, whales, dolphins, seabirds, turtles have been found with plastic in their stomach, causing them to die as they cannot eat. Participants will be battling marine debris in this activity and rid the ocean of as much trash as possible. 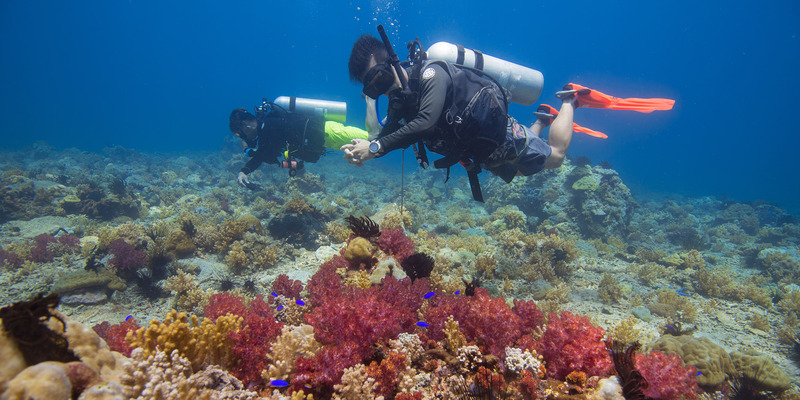 Another important component of the program is the Coral Reef Conservation segment. The purpose of this activity is to inspire our participants to understand the benefits of preserving coral. Knowledge is needed to address these environmental issues, and the program is a unique education for participants to witness the natural beauty found in Sabah and how to preserve it. A presentation about the role coral plays within the environment will be given, followed by coral planting. Participants will learn how to re-plant broken coral that would otherwise perish. The treated corals are then placed in their new homes by the Downbelow team on our artificial house reef located in the bay just in front of the dive centre. AJ ‘Pyro’ Lias Mansor is a passionate athlete. 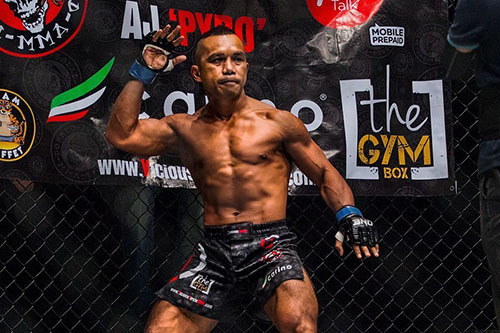 A former Malaysian National Rugby player & National Silat Champion, he has become the first East Malaysian One FC MMA fighter and 1st Malayisan National OneFC Featherweight Champion. AJ founded and is the Head Coach for the Borneo Tribal Squad in Kota Kinabalu, Sabah, which is a team of young, developing fighters with a diverse background in Muay Thai, Silat, BJJ, Wrestling & Boxing. AJ is an advocate for animal welfare and an active supporter for SPCA KK and was therefore eager to support our event with his fighting passion. Daphne Iking is an award-winning Malaysian television personality, an emcee and actress. Born and raised in Sabah, Borneo, not only is Daphne a much-loved personality and a crowd favourite during events, she is also eco-conscious and has participated in conservation efforts in the past. Daphne will be joining the Downbelow x Rip Curl Marine Conservation Program 2017 and take part in the activities together with the participants. 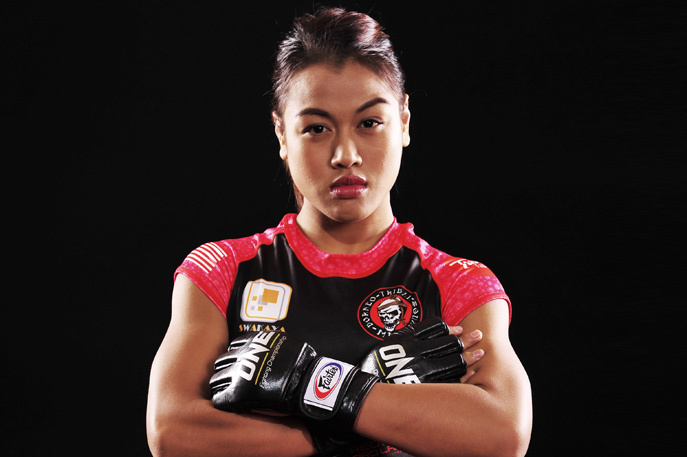 Ann “Athena” Osman is Malaysia’s first female professional Mixed Martial Arts fighter. This strong athlete took the MMA fighting industry by storm since she began her professional career in 2013. A force to be reckoned with in the ring, Ann battles conservation issues as fiercely as her opponents. 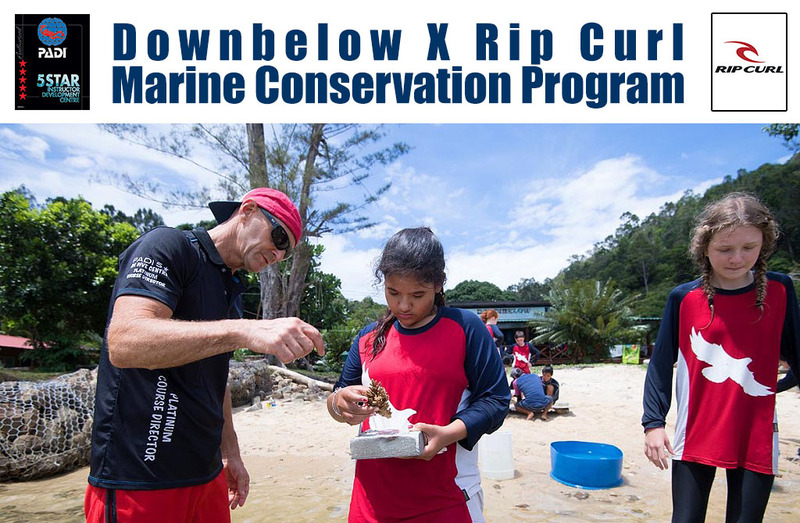 Catch Ann in action as she participates in the Downbelow x Rip Curl Marine Conservation Program 2017 at Downbelow Marine & Wildlife Adventures. Proceeds from this event will be channelled equally to the Project AWARE Foundation and the Society for the Prevention of Cruelty to Animals Kota Kinabalu (SPCA Kota Kinabalu). To know more about these non-profit organisations, you can visit their websites by clicking the links above. Participants are required to pay a fee of MYR50 per person to join this event and 100% of that amount will be donated to these worthwhile causes. They are on-going causes and would need as much monetary aid as possible. To give our further support, we have set up a Joint Fundraising for Marine Conservation & Animal Rescue Page so the public can make their contributions to the causes as well as for participants wishing to donate more. All you have to do is click the link to visit the page. Please spread the word and share the news with your friends and family so they can all join the cause and contribute to marine conservation and animal rescue efforts! What Can You Do To Help Save Our Oceans ? Here are FOUR simple but effective things you can in your everyday life to help our environment. Single-use plastic is one of the main causes of trash. Each time you use a single-use plastic item for example a straw, a styrofoam food container, a throw-away coffee cup, a plastic bag consider where it will end up at. When you shop, bring along your own re-usable shopping bags. Buy a coffee flask for your starbucks or costa coffee. Keep food containers for your much & dinner take-aways. Do not use straws. Recycling can reduce the negative impact trash has on our marine environment. Support your local government and follow the recycling guidelines given by them in your household, work, and everyday routine. Separate your trash and dispose of it according to regulations in your location. There are even groups of dedicated people that can assist you in matters of recycling, all you have to do is get in touch with them in your area.